Polypropylene dust filter bag(PP dust filter bag) Normal maximum continuous operating temperature is 90degrees. 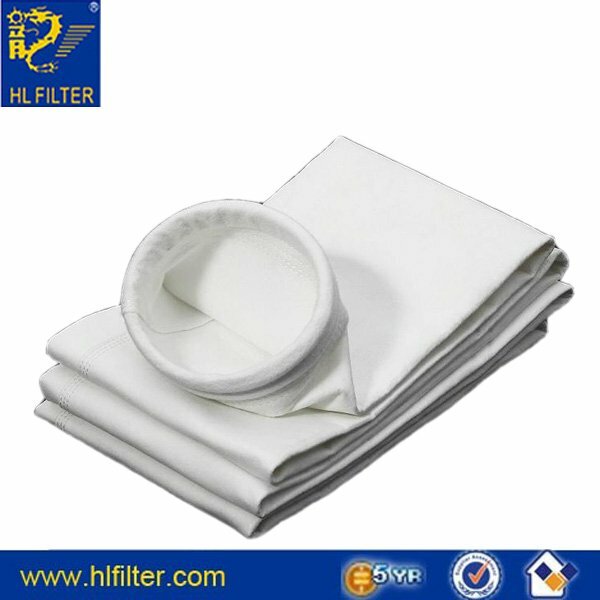 Polypropylene filter bag is used for general applications where chemical and moisture attacks other fibers. Polypropylene offers high strength, excellent resistance to most acids and alkalis. Smoothness of fibers allows good cake release and resistance to blinding. Moisture absorption is virtually non-existent. the exception of sodium and potassium hydroxide above 110degrees. Good resistance to most reducing agents. Polypropylene also has fair resistance to most organic solvents with the exception of ketones, esters, and chlorinated hydrocarbons.